With reasonably short attention spans, our littlest friends can be tricky to keep busy, entertained and learning. 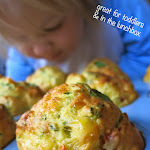 I find that I need a whole host of easy activity ideas up my sleeve that I can call on at any time. 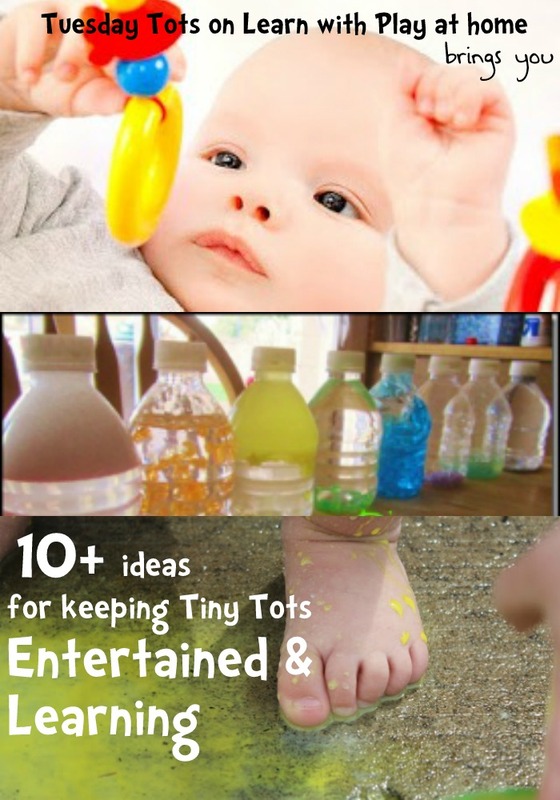 Here are some great posts for you that should give you a few more ideas for how to keep those Tiny Tots amused! Last week I shared Counting and Grouping with Sticks. This week we are focusing on counting and playing with concrete materials. 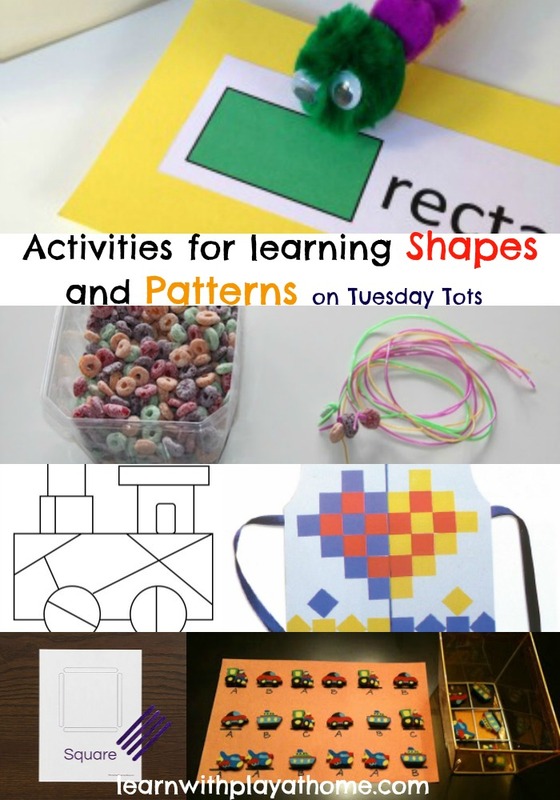 Other skills involved include fine motor, number recognition, writing numbers, counting on, making patterns, grouping, sorting etc. 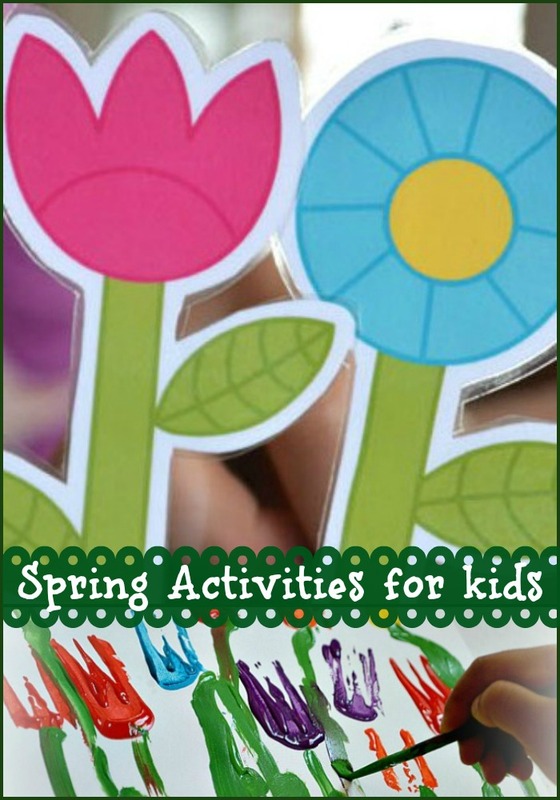 10 Spring Activities for Kids. 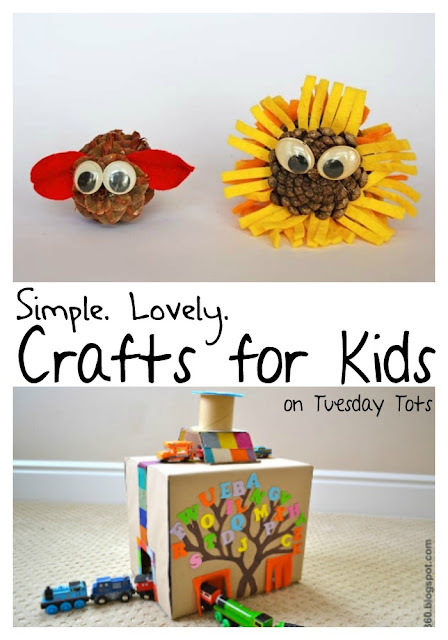 Despite the fact that here in Australia we are currently in Autumn, this week's Tuesday Tots was full of such lovely Spring themed activities that I had to share anyway. Regardless of the season, activities, art and crafts that take inspiration from nature are always a favourite here so there's no need for us to wait until next spring to give them a go. 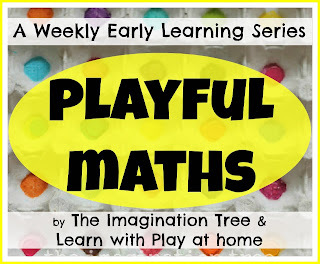 Last week I shared Block Maths for Kids. 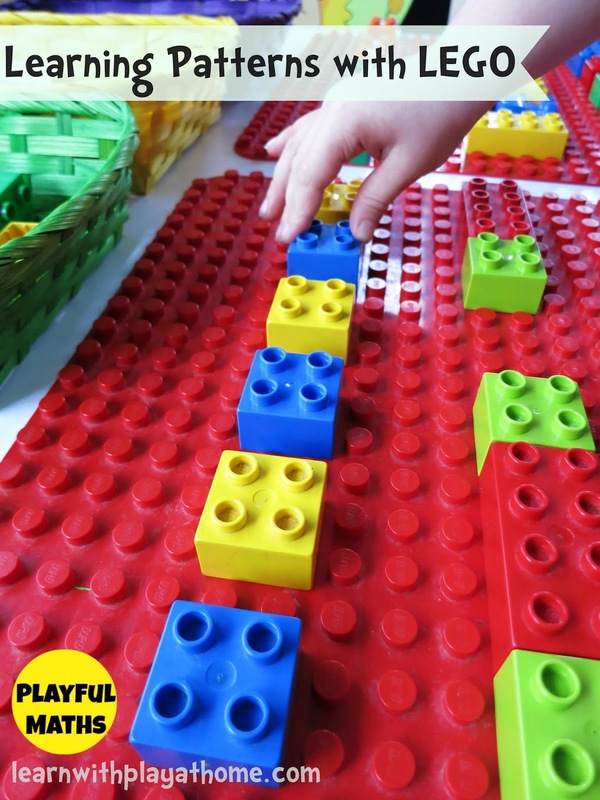 This week we bring you another 2 Playful Maths Activities using LEGO (or Duplo) Blocks. We have used LEGO DUPLO blocks here as with a toddler in the house, this is the current block stage we're up to. When he's a bit older we will start providing the smaller LEGO blocks as well. You can just use what you have available. This week we are focusing on learning patterns. 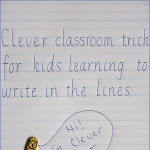 Other skills involved include fine motor, counting, colours, sizes etc. 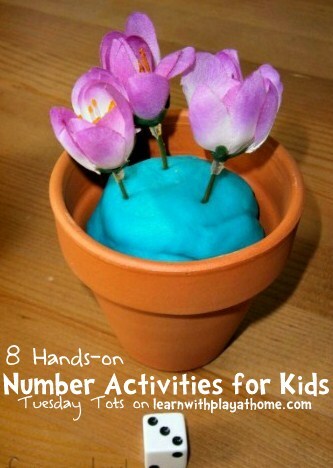 Last week I shared Pipe Cleaner Numbers. 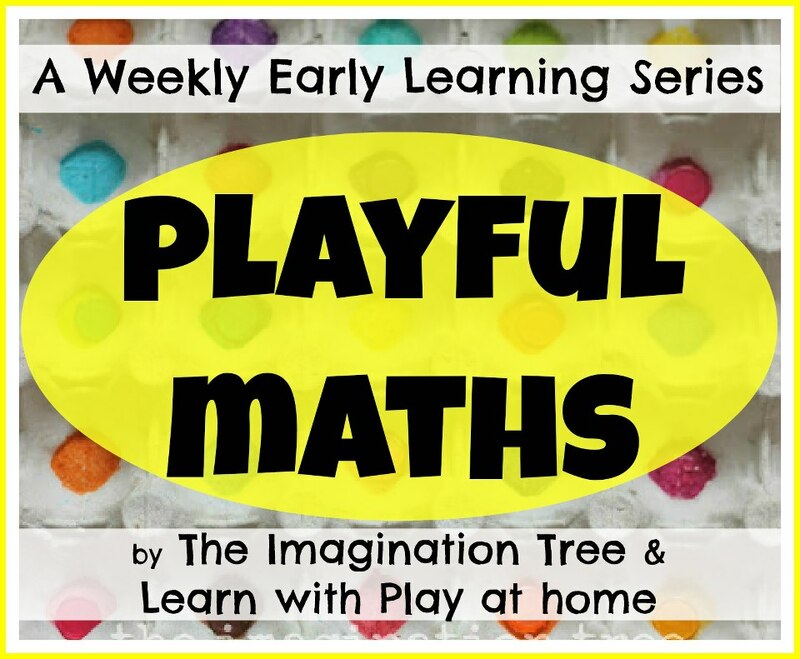 This week we bring you another 2 Playful Maths Activities using Wooden Blocks. 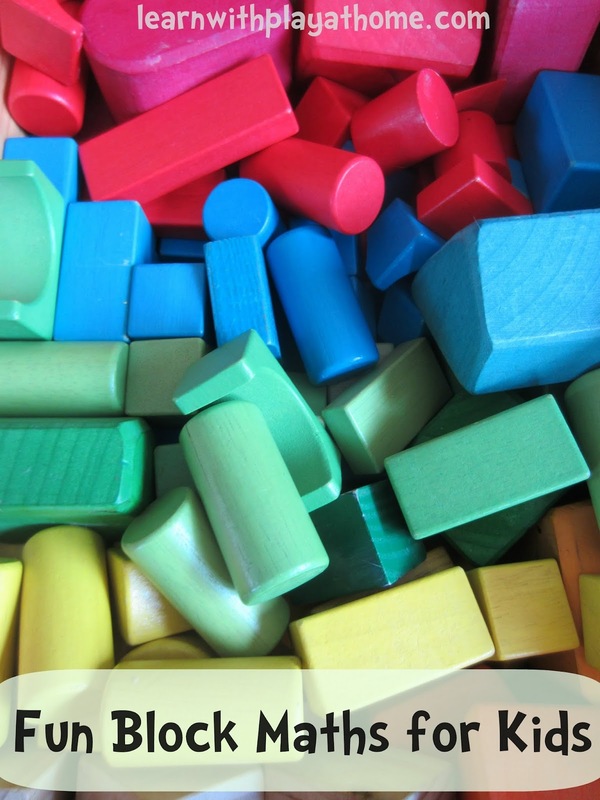 Most people I know have a set of colourful wooden blocks. Ours are kept in a wooden cart and are always out and being used in different ways in part of our play. The other day the cart was out and I asked my daughter (aged 4) to tell me which colour we had the most of? Well, she didn't know the answer so this set about a fun challenge where we got to learn more about colours, sorting and classifying, counting, estimation, number writing, number recognition and ordering. For today's painting activity I wanted something that my toddler (currently 17 months) and preschooler (4 years) could do together. 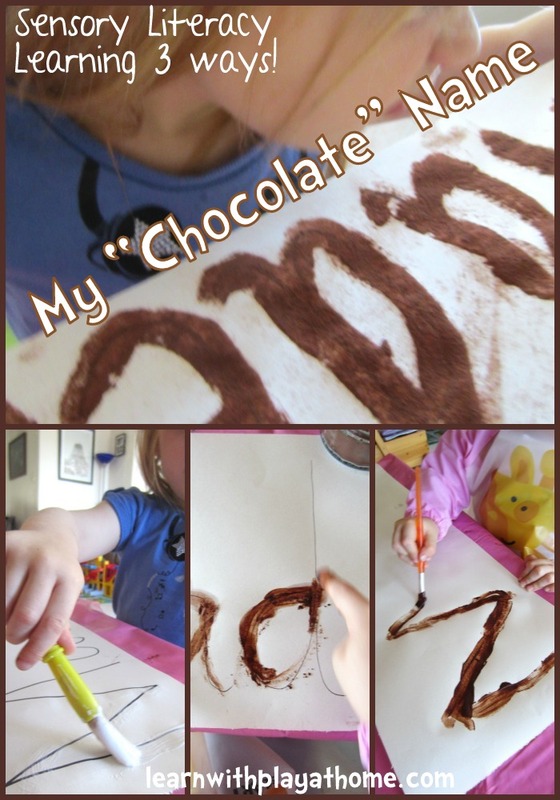 I decided on some process art where instead of trying to achieve some sort of art work or "finished product" at the end, it was all just about the exploration of the provided materials and the results they could achieve with those. In order to try and make it more about the process, I provided (I think for the first time ever!) only one single colour. Materials: Paint, large paper, various painting tools. 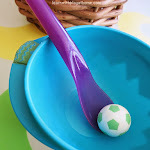 Going through last weeks list of linked up activities, a couple of the crafts just jumped out at me as they were just SO CUTE! 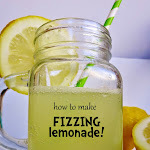 I made it my mission to try and find some more simple and cute crafts from the link-up, so here are the best.